Ghostly photographs from Hauntings | Can you explain these photographs? Ghosts Caught on Film 3 is an all-new compendium of extraordinary phenomena caught on film. 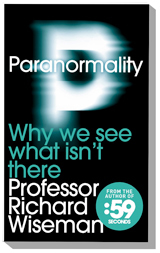 Featuring a selection of contemporary ghost pictures from this blog along with several new images, leading Fortean and paranormal expert Gordon Rutter explores an intriguing collection of shadowy figures, strange mists and ghostly apparitions. Order now from Amazon UK by clicking here. “I took this photograph with a KODAK EASYSHARE CX7300 digital camera a few years ago, in St. Giles Cathedral in Edinburgh. It was an overcast day, not too many tourists were in at the time, and i was with my mum. When i take any photographs inside the Cathedral or anywhere , i try to wait till there is no-one in the way and then i’ll click away, and that is what i did here. My mum also is afraid of any clergy i.e nuns, preists, ministers from an incident when she was little, so i know if this gentleman had been sitting there my mum would have gone outside and left me there! I let my mum see it and it gave her shivers, as does anyone i have shown it to. “I’d love to know what you think of this photo. It was taken, by my uncle, many years ago in Highfield, Southampton, where we used to live. That’s me in the foreground but in the background, close to the shrub, you’ll see a face peering over the wall. We have now carried out an investigation into the Tatallon Castle ‘ghost’ photograph. Read the results here. The image below has been sent into the site several times. Each time, the person submitting it claims to know someone who knows someone in the image. However, when I ask them for contact details I get a blank. So, here is the question – can you help track down anyone in the picture, or the person that took it? If you think you can help, please email me (my email details are in the ‘how to submit a photograph’ section). “this photograph was taken in the late 70′ and is a beer cellar in a pub in Ross on Wye. The cellar was in 2 divisions and The owner at that time was having the beer equipment moved from one part to another due to excessive damp. The lady who took this photograph had not noticed the figure standing on the left, she had just brought the photo in to show us what the cellar used to be like. Please note that there was no electric in this part of the cellar and the 2 shafts of light on the ceiling are therefore puzzling. We did some research on the pub and found out that this part of the cellar was in fact part of a tunnel where people were taken prior to being led through underground tunnels to the tower in the town centre. “I have a picture that has baffled me since the moment i took it that i hope you would take a look at. I was at my Uncle’s house, who had recently passed away, laid in bed taking pictures of my girlfriend at the time. I was takin shots with my mobile phone when all of a sudden as i was taking a shot this gremlin like creature appeared. Becki said i went white when i saw it and i quickly explained to her why and praying it showed up on the phone…..it did! “It was taken in October 1972 by a professional photographer who was commissioned to take photographs of guests arriving at the wedding reception of friends whose son had just married in Paisley. The photo shows me on the left, my wife who is pregnant at the time, and friends. Crouching behind one of the figures is a “spirit extra” looking towards the camera and dressed in what appears to be open-toed sandals. The photographer said the negative also showed the “spirit extra”. He could not explain the photo. As far as he was aware no one was behind the man when the photo was taken and no one was there when we moved away. He said it would be impossible for anyone to crouch behind without the person being aware of their presence and indeed without their body being visible to the person’s left. Compare for example the size of the person’s foot to that of the extra. The person with his hands behind his back would surely have felt someone behind him? Another friend who was working with the police at the time had the photograph examined by a police photographer who said the photo was genuine and not faked. One Glasgow medium, predicted that I would receive such a photo. Another well-known Glasgow medium, was able to tell me without seeing the photo that it contained a “spirit extra”. A visiting medium from England, was able to tell me the reference number written on the back of the photo, again without seeing it. I would be delighted to hear your views on this photo. “”Thanks for your interest about my photo.i took it in Berlin, Germany at Christmas of 2004.The place was the Check Point Charlie ,the only road point between west and east berlin.